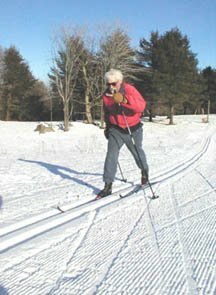 Sleepy Hollow Inn - You've never really skied until you've done it at night, and Sleepy Hollow offers a 2 km lighted loop for skiing from sunset to 9 pm on Mon, Wed, Fri and Sat nights. The center in full offers 40 km of groomed trails for snowshoeing and skiing, as well as rentals and ski lessons. Huntington.